Just Harvest is working to end hunger by expanding access to fresh, healthy food. 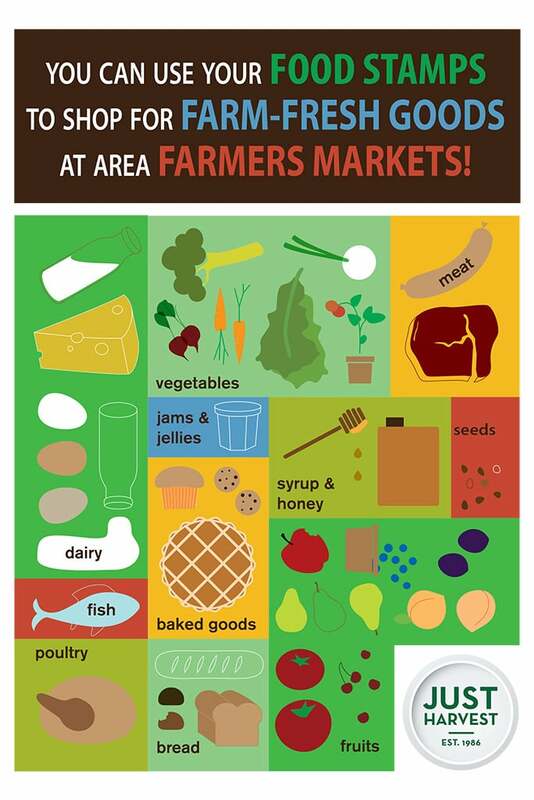 Fresh Access also helps support our region’s small farms and the Pittsburgh area communities that host farmers markets. 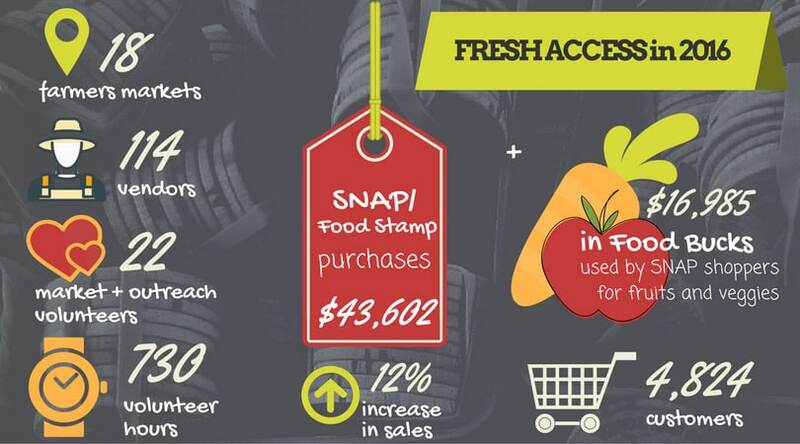 Now in its fifth year, our Fresh Access program enables shoppers to use their food stamps – as well as credit and debit cards – to buy fresh, nutritious, and locally-grown food. 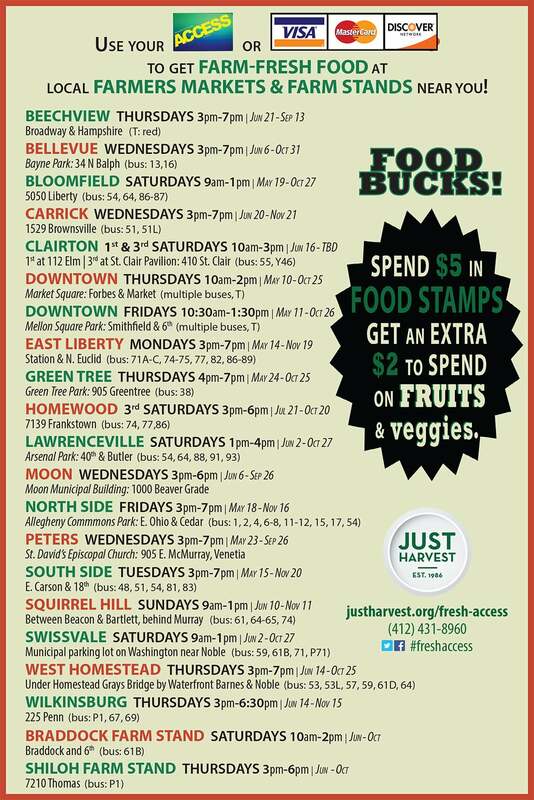 Fresh Access Food Bucks give food stamp shoppers an extra $2.00 to spend on fruits and veggies for every $5.00 they spend in food stamps at 21 participating farmers markets and farm stands! Farmers markets have long been a popular source of healthy food. Generally open half the year, from May to Thanksgiving, local farmers markets attract thousands of shoppers to locations around the city. Just Harvest, along with Pittsburgh Citiparks and participating local farmers, launched Fresh Access in May 2013 at the East Liberty and North Side farmers markets. The program now operates at a total of 21 locations in Allegheny County. At Just Harvest’s red market tent or at the market manager’s tent (just look for Fresh Access signs! ), shoppers can swipe their ACCESS electronic benefit transfer (EBT) cards or their credit or debit cards and receive tokens they can use just like cash to purchase a variety of fresh produce, baked goods, meat and dairy products. Tokens are accepted by dozens of vendors and the list is always growing. We hope to see you at a Fresh Access market soon! SNAP Shoppers Get Food Bucks! 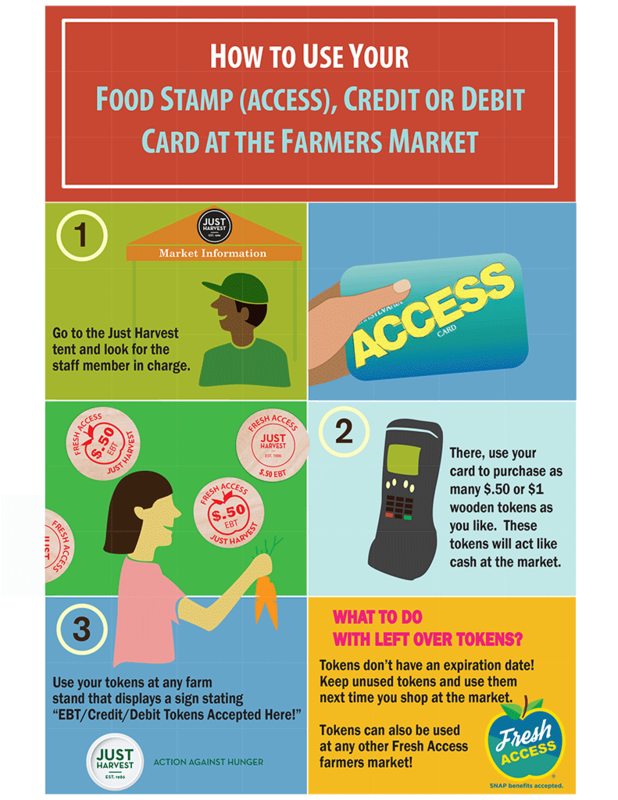 Get an additional $2.00 to spend on fruits and vegetables for every $5 you spend in Food Stamps at participating farmers markets! Seniors can contact the Area Agency on Aging at (412) 350-5460 or your local Senior Center about receiving FMNP vouchers. Eligible WIC recipients receive FMNP vouchers with their WIC checks in the spring. Want Fresh Access at YOUR Market? Are you a farmer or vendor who wants to expand your sales? Are you a farmers market organizer who wants to expand the popularity and success of your market? 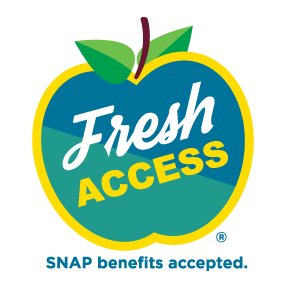 Fresh Access Food Bucks are made possible in cooperation with The Food Trust through a grant from the U.S. Department of Agriculture Food Insecurity Nutrition Incentive (FINI) Grant Program.